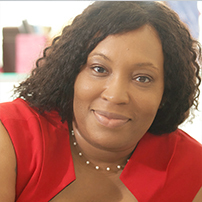 Dr. Joynicole Martinez is founder and Chief Executive Officer of the Alchemist Agency, a management consulting firm serving leading corporations, health care facilities, non governmental organizations, and not-for-profit corporations. Dr. Martinez has 20 years of experience providing capacity-building services, including strategic planning, with a focus on performance management, fund development and impact measurement. As a community advancement and public health expert, Joynicole has developed initiatives that reach across disciplines to strengthen health and wellness. For example, the development of mixed-income, mixed-finance housing communities that address the social determinants of health, equity and human rights. Dr. Martinez earned a BA in Political Science and a MBA in Marketing from the College of Charleston, a MBA in International Business from the University of Phoenix, a DSc. In Clinical Counseling and a DHSc./PhD. in Public Health and Health Science with a concentration in Leadership and Organizational Behavior from A.T. Still University. She is also a Certified Six Sigma Green Belt (CSSGB).